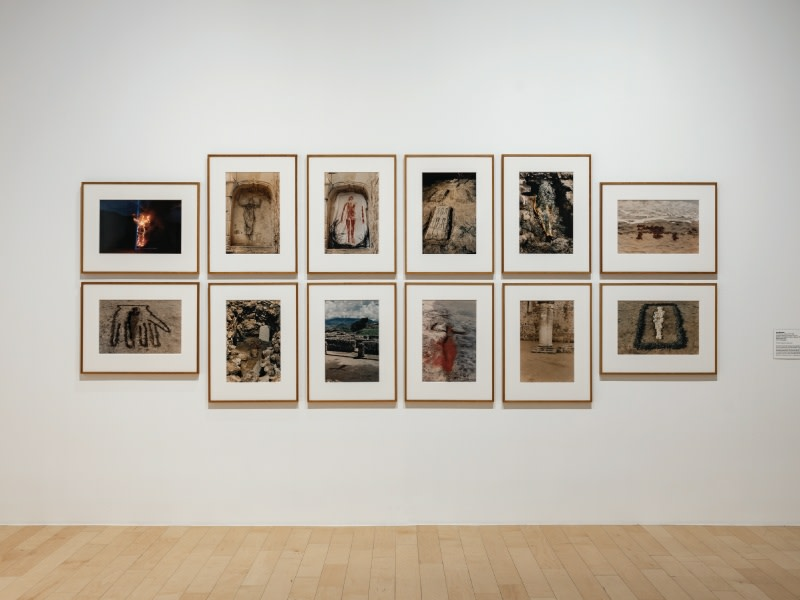 Installation view: Ana Mendieta in 'Unsettled | Art on the New Frontier', Palm Springs Art Museum, Nevada. Image courtesy Palm Springs Museum of Art. In addition to Mendieta, Unsettled features works by Gerard Murillo, Sonia Falcone, Ana Teresa Fernández, Da-ka-xeen Mehner, Edgar Arceneaux, Andrea Zittel, Nicholas Galanin, Ed Ruscha, Georgia O’Keeffe, Agnes Pelton, and many other artists.